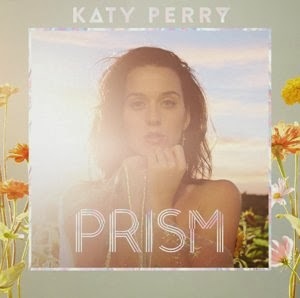 SnapCacklePop: Preview Katy Perry's new album Prism..! Preview Katy Perry's new album Prism..! The Roar pop superstar's hotly anticipated third album, PRISM, is now streaming in full on Perry's official web site, however you don't have to go anywhere, as we at SCP HQ have the stream below. Yup, we are nice like that..! On first quick listen, even though Perry has said it was going to be a more mature album, its full of chart ready pop delights that we have come to expect from the singer, however with a slight new edge (think Dark Horse). Katy announced the stream was live via her Twitter page saying "I'm really excited to share these songs with you all...I'm so proud of them"
We are going to take some time to review, and see if this album could potentially contain more than 6 mega singles to follow up her previous album Teenage Dream, however until then check out the album below and let us know what you favourite track is..?